Almost four months have passed since my last photo sharing. These pics are from my last trip to Las Vegas the second week of January. This first pic is 20 mins after take off from Salt Lake International Airport. 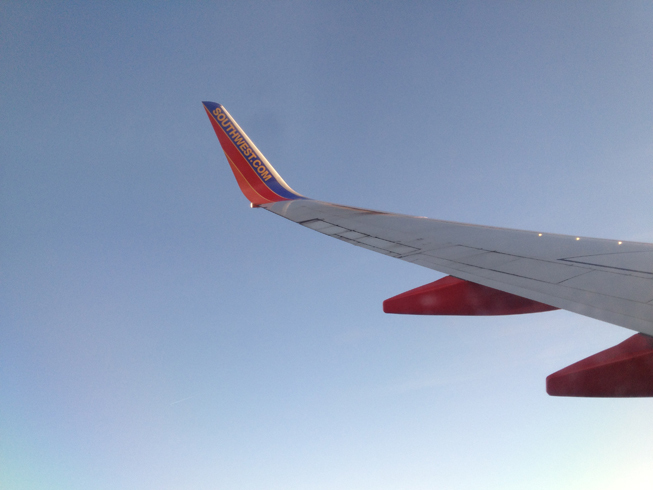 The wings of the plane out the window were a focal point of mine during the 1:20 flight. 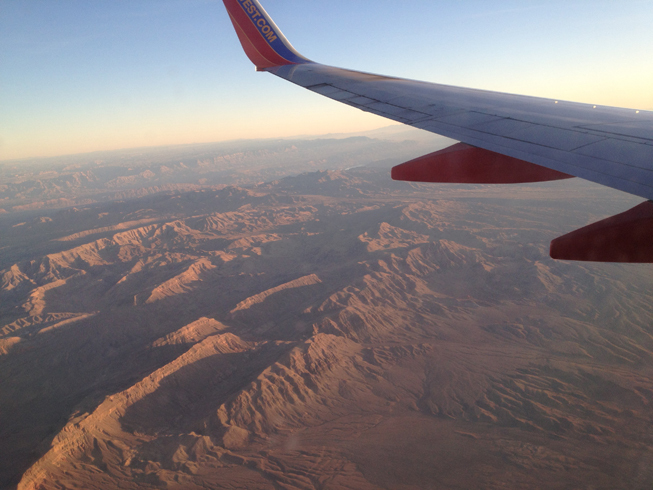 This pic is a nice clear view of the mountain range between Utah and Nevada. Half way there… mostly air from this pic. Below, that’s Henderson, NV – just south of Las Vegas. 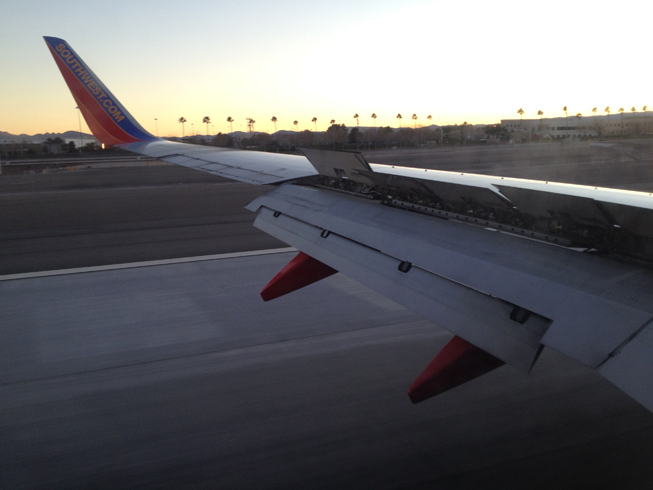 And we have landed… Vegas baby.. Vegas! 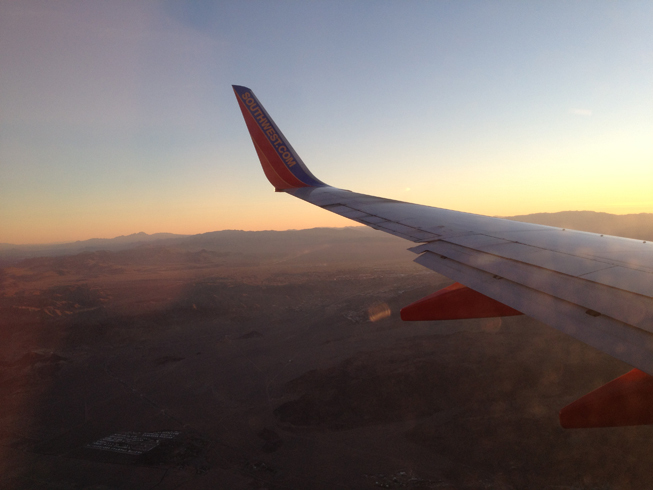 And no, this post was not sponsored by Southwest Airlines. They simply had the cheaper flight at the time of my booking. 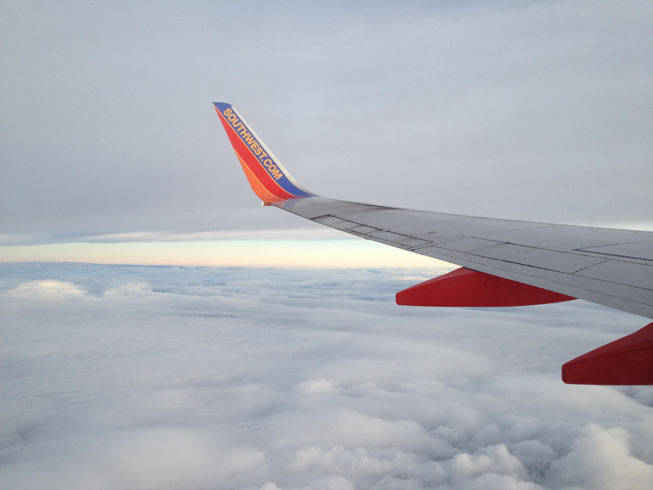 Doesn’t Southwest always have the cheapest flight? Wow, awesome photos. Southwest are the airline that don’t have reserved seats right? You just get assigned a “block” or something and then it’s first come first served on the flight?